As always an enjoyable read from Carrie Ann, I did however find Ryan's character a bit confusing, but I think that is the problem with novellas you don't get the in-depth view. 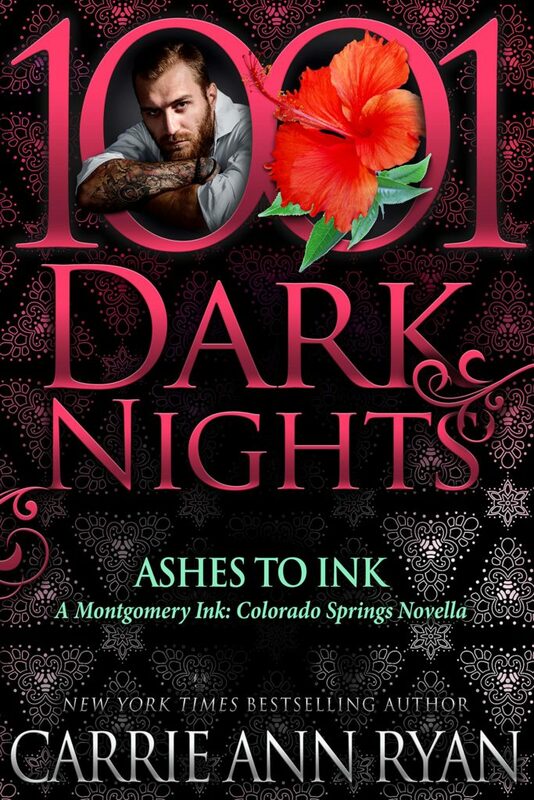 ASHES TO INK is available now! Carrie Ann Ryan is the New York Times and USA Today bestselling author of contemporary and paranormal romance. Her works include the Montgomery Ink, Redwood Pack, Talon Pack, and Gallagher Brothers series, which have sold over 3.0 million books worldwide. She started writing while in graduate school for her advanced degree in chemistry and hasn’t stopped since. Carrie Ann has written over sixty novels and novellas with more in the works. When she’s not writing about bearded tattooed men or alpha wolves that need to find their mates, she’s reading as much as she can and exploring the world of baking and gourmet cooking.